Indemnity health insurance plans are more regularly known as traditional health insurance plans. These health insurance plans can be costly but often cover most health problems that may arise, while other insurance plans exclude some illnesses or diseases from their coverage. 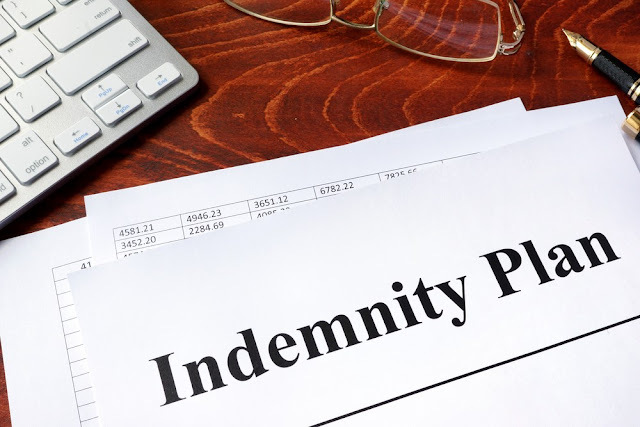 Some disadvantages to indemnity plans are that they do not usually cover preventative health care like physicals, and traditional health insurance plans often cover only a percentage of your bill. Research the advantages and disadvantages of indemnity health insurance when you are considering health insurance options. Another benefit of indemnity health insurance plans that many people desire is the freedom to choose your own physician. While other health insurance plans offered by the insurance industry limit your choice of physicians and hospitals to a list of preferred providers, indemnity insurance will cover any physician or hospital. This benefit may seem unworthy of mention, but there have been, more than one instance where a mother finds that her son or daughter's paediatrician is not in their preferred provider network and has to search for another paediatrician. This also means that you can see a specialist without having to consult with your primary care physician first. Overall, indemnity health insurance plans also offer you the best emergency medical coverage in the industry. While preferred provider organizations (PPOs) or point-of-service (POS) plans to limit the physician you can see to a list of network physicians and hospitals, the freedom of choosing any physician is nationwide with indemnity health insurance plans. This means that if you are travelling across the country and have an accident or a medical emergency, you can go to the nearest hospital or see the closest physician without worrying about the expense. There have been instances where hospitals or physicians will either refuse to treat patients or treat them only minimally because the hospital or physician is not inside the plan's preferred provider network - meaning that the patient's health insurance will only cover a small part of the expense and the patient is liable to pay the rest of the bill. This is a risky financial situation for the physician and/or hospital since patients are often unable to fully pay costly medical bills. With indemnity health insurance plans, this is almost never the case. Consider this and the other benefits of indemnity health insurance when choosing the plan that is right for you.